Jino P. Ray currently serves as the Director for Admissions for the Howard University School of Law. Prior to joining the staff at HUSL, he served as the Assistant Director of Admissions and Diversity & Inclusion for The Ohio State University Moritz College of Law and as an Admission Counselor for the Cumberland School of Law at Samford University in Birmingham, AL. Jino holds a B.S. in Political Science from Florida State University and a J.D. from the University of the District of Columbia David A. Clarke School of Law. Before returning to law school, Jino taught middle school Social Studies and worked as an Education Liaison advocating for the special education needs of foster youth in Florida; coordinated education and employment programs for homeless youth in Hollywood, CA; and served as the program director for SoBRO YouthBuild in Bronx, NY. 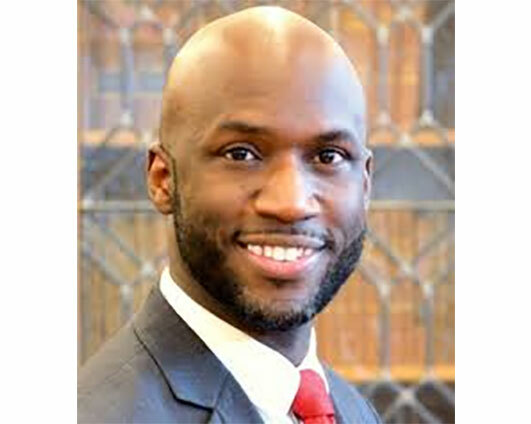 His professional interests include diversity and inclusion in legal education and the legal profession with an emphasis on redefining “merit” and developing dynamic pipeline programs that empower students from marginalized groups, particularly black males. Jino is a native of Cairo, GA and is a member of Phi Beta Sigma Fraternity, Inc. A lifelong thespian, he enjoys singing, acting and writing in his spare time.